Be the first to move into this completely renovated ranch style home. 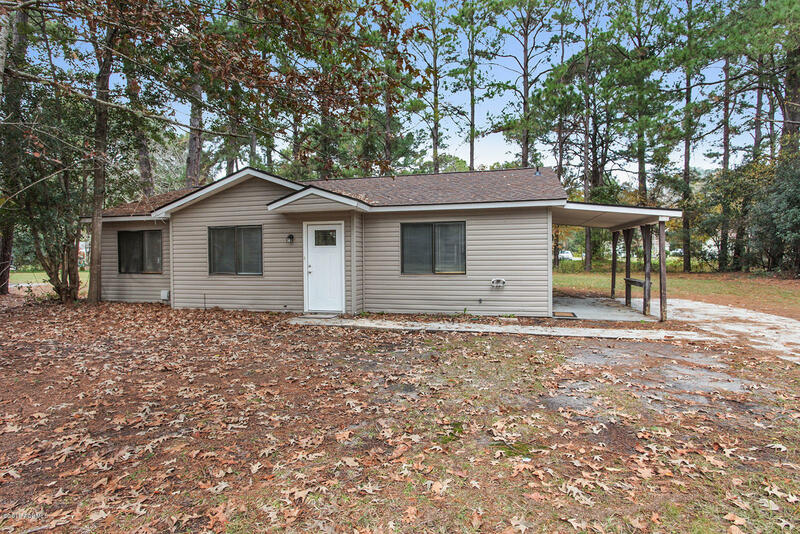 Quiet neighborhood minutes from Parris Island, MCAS, and shopping. New eat in kitchen with white cabinetry including a Lazy Susan, quartz counter top, stainless Whirlpool appliances. Door out to the patio and driveway. The LR is open to the Kitchen and is large and bright. Flooring is new Vinyl Planking, a perfect choice for wear and tear in the Kitchen, LR, and Hall. New carpeting and fans in all three BRs. Guest Bth includes a new vanity, toilet, mirror and lighting. MBth features a new large walk in shower with a tiled bench. New toilet, lighting, vanity, and mirror. Laundry located in the Hall. Covered patio and large backyard are perfect for entertaining. Outside storage area too! Don't miss this one! View: Lovely treed property with extensive back yard.